Work with any desk or work surface. 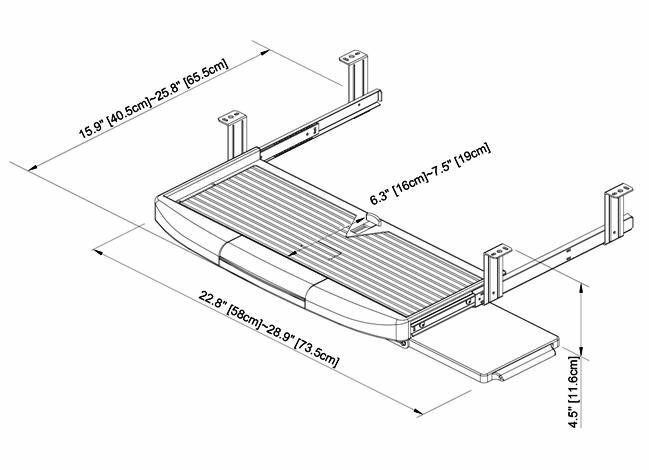 Cotytech Keyboard Tray �C Expanded is a under desk keyboard drawer mounts securely under desk or any work surface. The keyboard tray integrates a sliding mouse tray that is adjustable to right or left side. This keyboard platform frees up desk space and provides better keyboard management. The keyboard stopper keeps keyboard securely in the tray. The keyboard drawer slides in and out smoothly and is easy to install.